The estimates from Strategy Analytics for the third quarter of 2018 claim there were 360 million smartphone shipments globally, a figure that is a decrease of 8.4 percent year-on-year from the 393.1 million in Q3 2017. The figure is a continuation of the market's ongoing slump, with this quarter being the fourth consecutive period of decline. "The smartphone industry is struggling to come to terms with heavily diminished carrier subsidies, longer replacement rates, inventory buildup in several regions, and a lack of exciting hardware design innovation," claims firm director Linda Sui. In the case of Apple, it shipped 46.9 million units in the third quarter, a marginal improvement on the 46.7 million in the same period last year, and representing a year-on-year increase of 0.4 percent. The drive for a higher average selling price (ASP) is thought to be one of the reasons for the lack of growth, according to co-director Woody Oh. 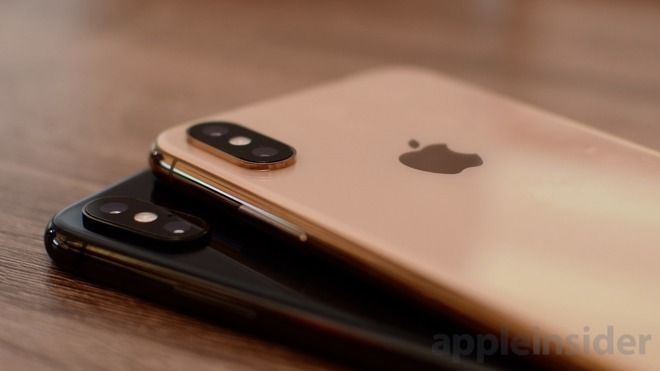 "The New iPhone XR, XS, and XS Max range is in health demand," concedes Oh, "but Apple's relentless focus on price increases is capping its overall volume growth." On the list of smartphone vendors, Apple is in third place after being in second place last year, with Huawei growing by 32.5 percent to 51.8 million shipments in the period and acquiring 14.4 percent of the market, compared to Apple's 13 percent. While having no real presence in the North America market, it is noted Huawei is wildly popular in most of the rest of the world, "particularly Asia and Europe." Samsung tops the list with 72.3 million units shipped, a year-on-year decrease of 13.3 percent, but still allowing it to hold a 20.1 percent market share. "Samsung is losing ground to Huawei, Xiaomi, and other Chinese rivals in the huge China and India markets," said executive director Neil Mawson, adding "Samsung must solve its China and India problems before it is too late." Trailing behind Apple on the list is Xiaomi with 33 million units, up 19.1 percent on last year and increasing its market share to 9.2 percent, and Oppo's 31.2 million units, down 0.6 percent but increasing the market share to 8.7 percent.